Harvest when flowers are fully opened. Store at 36-41F but only for a short time. Named by Linnaeus for Olof Rudbeck (1660-1740) who was a professor at Upsala University. Rudbeck’s father, Olof the elder, founded Upsala’s botanic garden. The specific epithet name “hirta” means hairy, in reference to its hairy stems and leaves. 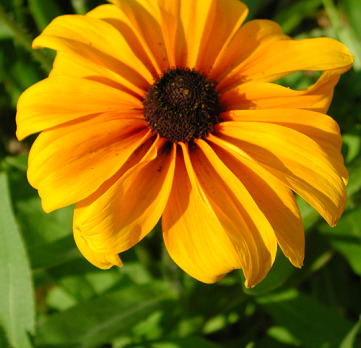 One good cultivar is ‘Becky’ that has yellow with reddish flower markings.